Ceralytics transforms your unstructured content into insights that pinpoint the topics and trends that resonate with your audience. 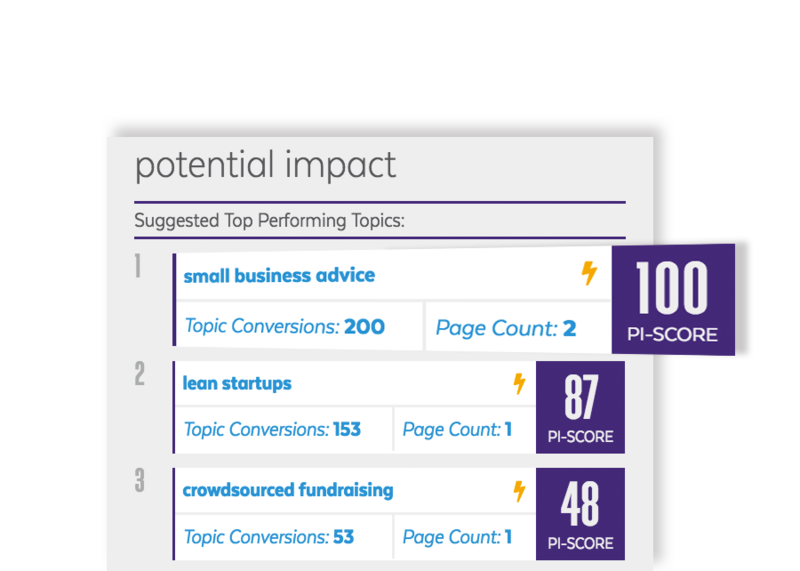 Use data-driven content analytics to empower your team to build amazing pieces of content without it being a guessing game. 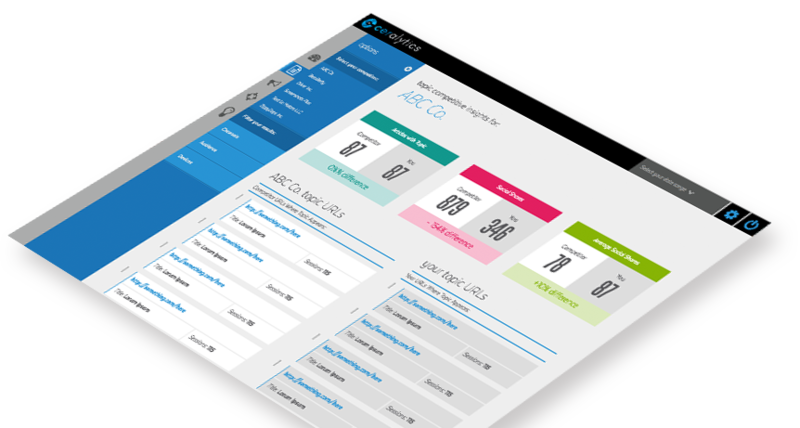 Unlike other marketing and content analytics solutions that break down content by URL, Ceralytics analyzes content by topic. This level of detail delivers deeper insights into how audiences consume your content and highlights hard-to-find opportunities and blind spots. 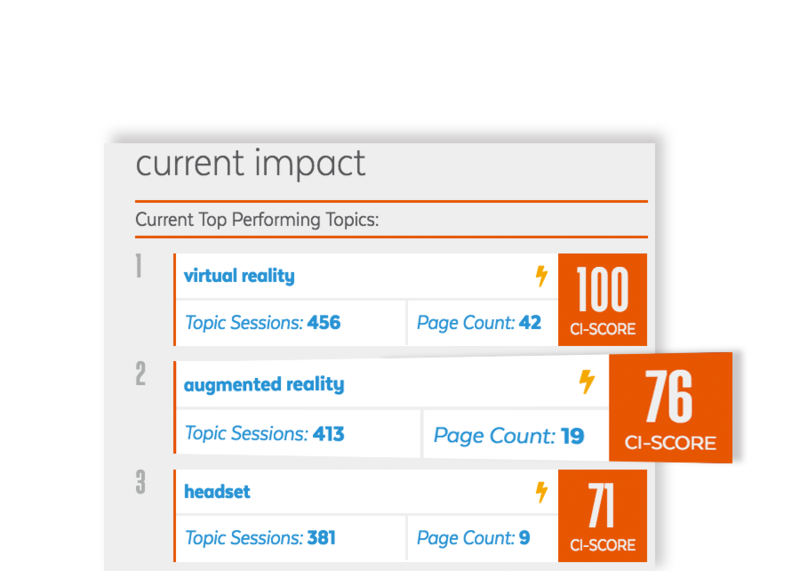 Utilize our CI (Current Impact) Score, to identify your website’s top-performing topics. Our side-by-side comparison highlights the discrepancy between what you are writing and what your audience is consuming, enabling you to improve your positioning and market approach. Our PI (Potential Impact) Score uncovers underutilized topics and pain points audience have, providing a roadmap of what content to create next. Save time and have confidence that your content plan will drive results before you write a single word. 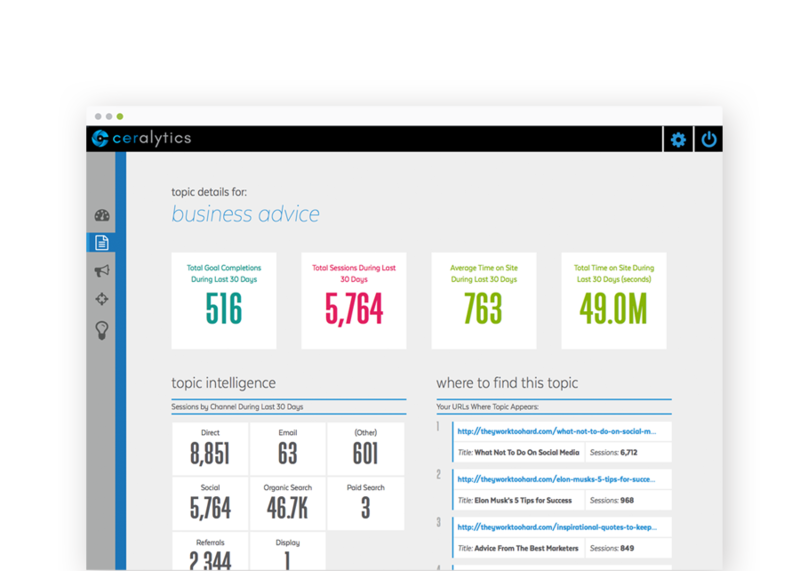 Ceralytics’ Competitive Intelligence flags valuable industry-wide topics within your content analytics. Open new opportunities and drive bottom-line results by seeing how your content compares to the competition’s and identifying content gaps that have high rates of return. You work hard. Ceralytics helps you optimize your content to ensure it works hard too. Understand your audience, their pain points, and your competition in ways that were never before possible to drive bottom-line business results.